For the third time in three weeks security researchers have taken control of a vehicle through flaws in its computer systems. The latest target? None other than Tesla’s Model S.
The Financial Times reports that researchers found six significant flaws in the Model S that could allow hackers to take control of the vehicle, including one issue that allowed researchers to turn the car off while it was driving at a low speed. The hackers – Kevin Mahaffey, chief technology officer of Lookout, and Marc Rogers, principal security researcher at Cloudflare – say they decided to target the Model S because Tesla is known to have a better understanding of software than most other manufacturers. In order to discover the flaws, the hackers first physically accessed the Tesla and connected an Ethernet cable to enable entry of the car’s system from afar. The hackers were then able to control the vehicle’s screens, allowing them to manipulate the speedometer to show the wrong speed, lower and raise the windows, lock and unlock the car and turn the car on or off, the Financial Times reports. “We shut the car down when it was driving initially at a low speed of five miles per hour. All the screens go black, the music turns off and the handbrake comes on, lurching it to a stop,” Rogers said. When the hackers tried to take control of the car at higher speeds, they report that Tesla’s own safety measures kicked in preventing them from using the handbrake. Additionally, the screens in the vehicle went black, the car dropped to neutral and the driver maintained full control of the steering. The researchers plan to provide a detailed account of their experiment at the cyber security conference Def Con tomorrow. 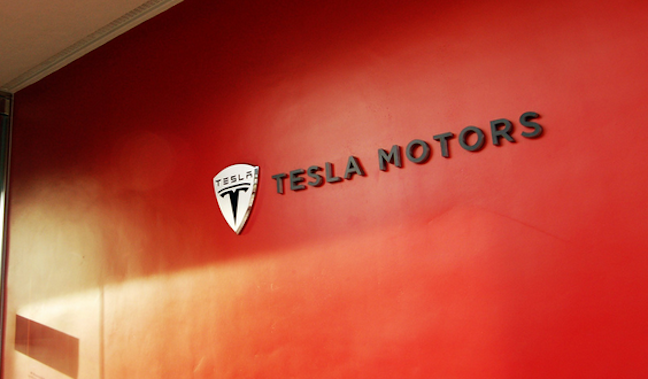 In the meantime, Tesla said it would issue a downloadable patch to fix the flaws by Thursday.